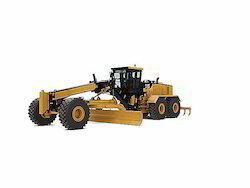 With years of experience and knowledge in this field, we are engaged in offering an excellent array of K Series Motor Graders. We offer this product after examining it on various quality parameters. CAT K Series(TM) 2 Motor Graders are the machines you can count on when you need to get work done. CAT motor graders help you make the most of your investment by delivering maximum productivity and durability. 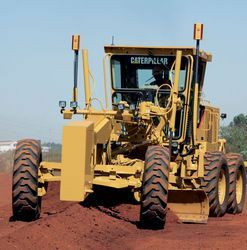 The CAT C7 engine, direct-drive power shift transmission and load sensing hydraulics work together to ensure the power and precision you need to work in demanding conditions. And CAT motor graders are backed by the world-class CAT dealer network to keep you up and running. 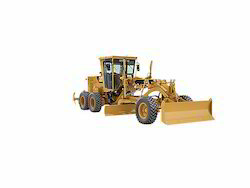 The M Series Motor Grader represents a revolution in operational efficiency and overall productivity. The 16M is designed to help you build and maintain the haul roads needed to support maximum efficiency in mining operations. The 16M has set a new standard of quality to maximize your return on investment. Advanced cab design and revolutionary joystick controls greatly improve operator comfort and productivity. Serviceability features reduce downtime for maintenance to help you reduce owning and operating costs, and features like outstanding visibility and optional rear view camera enhance your jobsite safety. 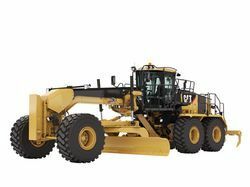 The range of Cat M Series Motor Graders is well suited to the work you need to get done in a variety of heavy construction, governmental and mining/haul road applications. The 24M is designed to help you build and maintain the haul roads needed to support maximum efficiency in large mining operations. Unprecedented operator comfort and ease of service help to maximize your return on investment.